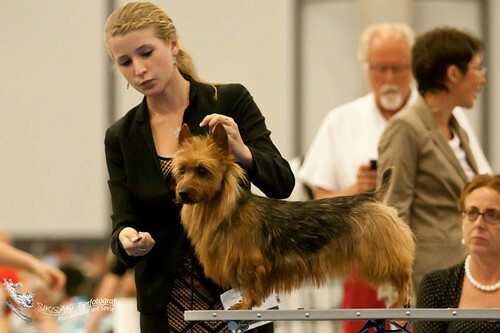 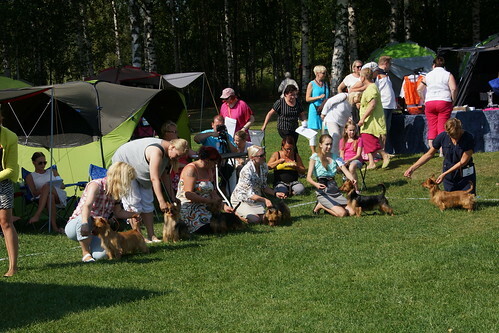 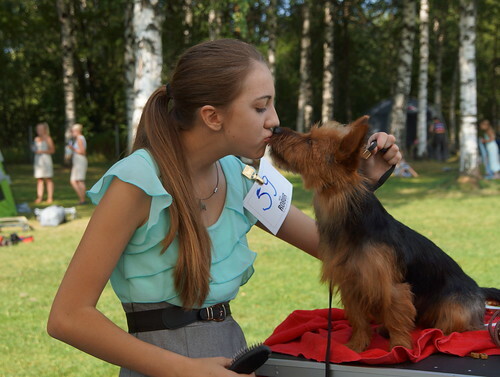 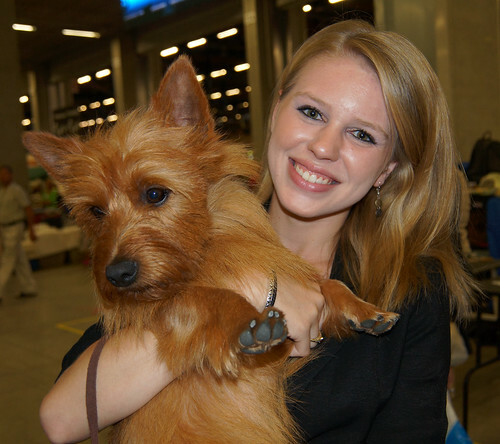 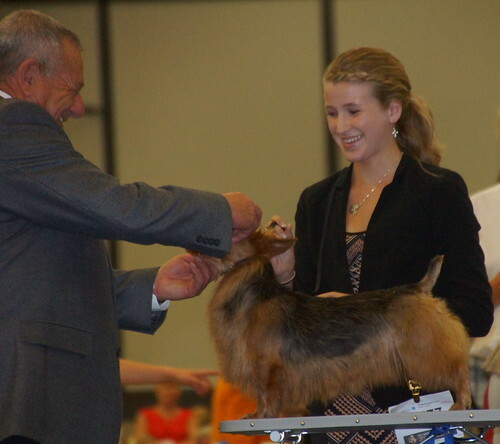 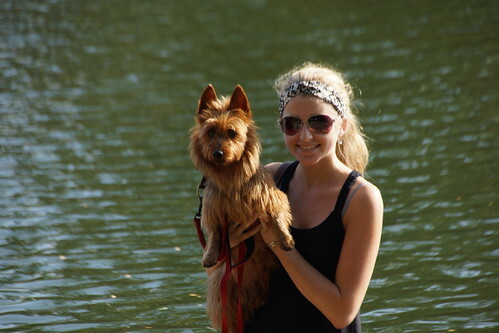 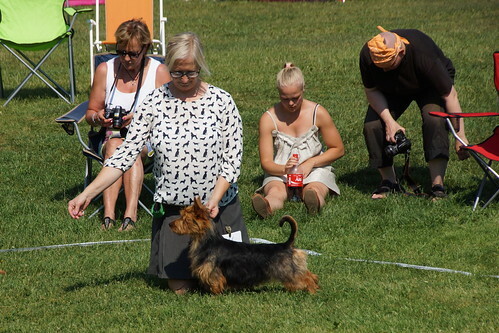 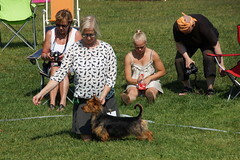 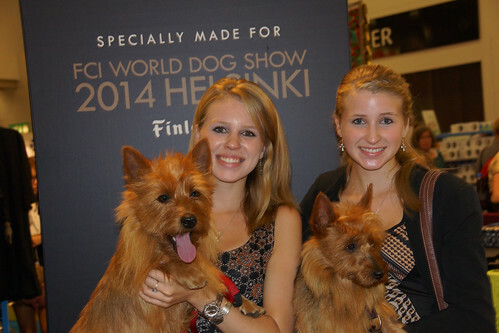 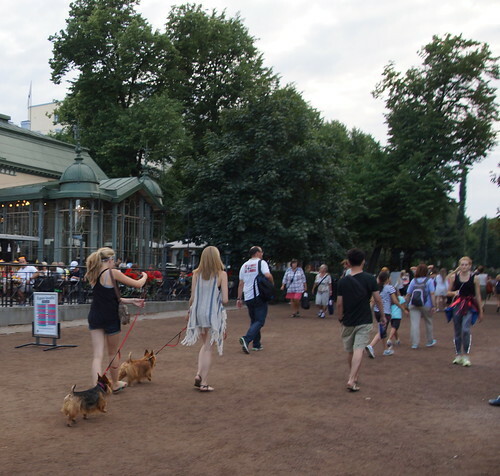 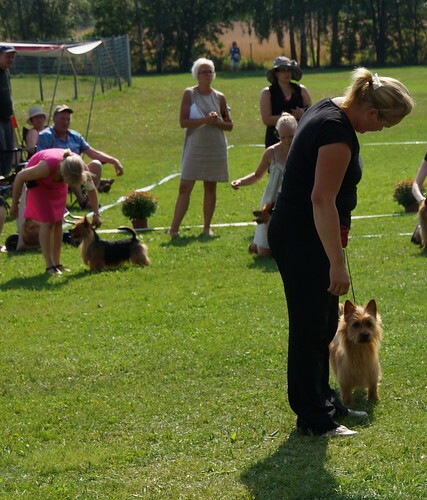 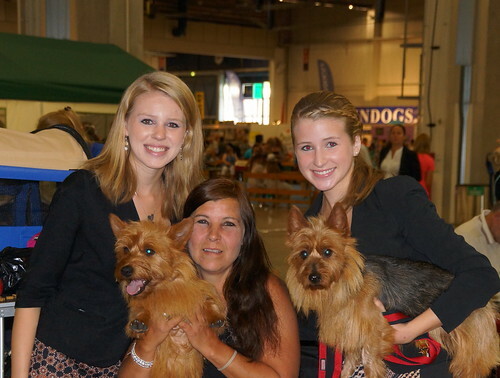 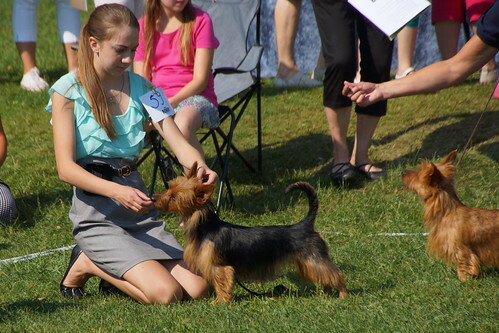 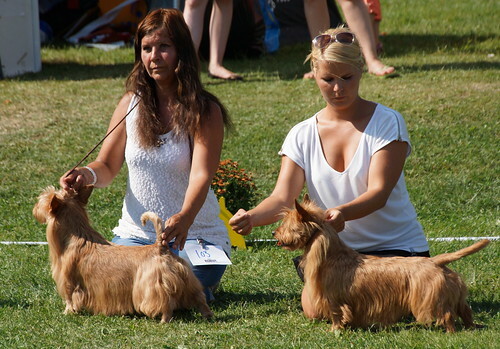 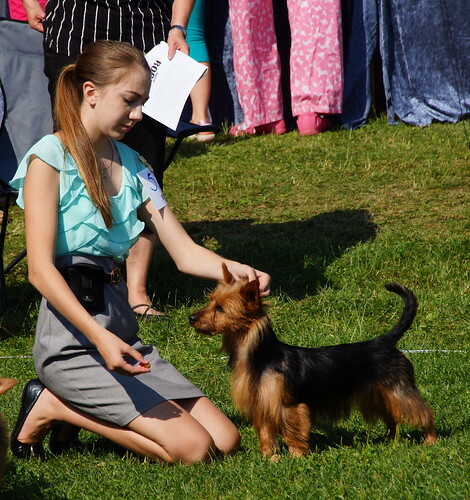 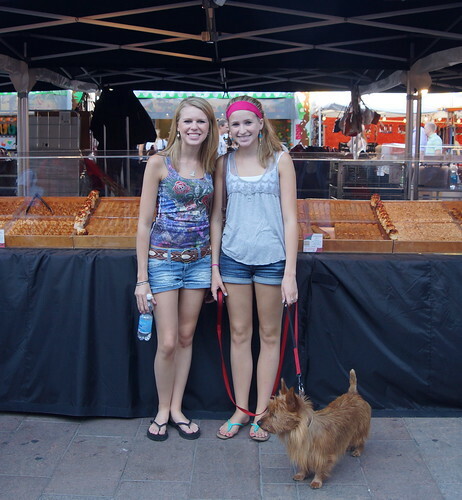 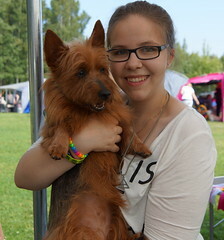 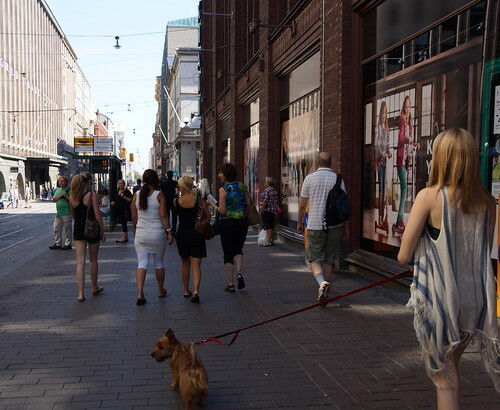 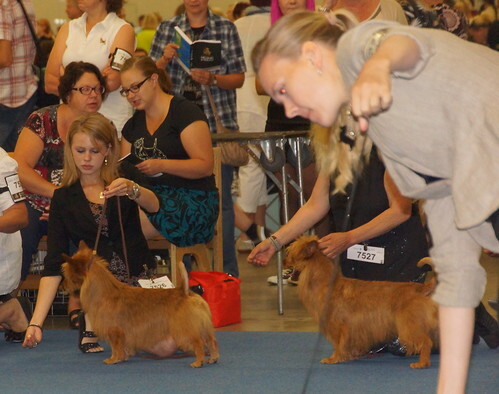 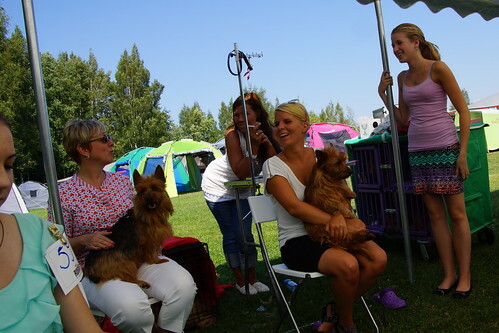 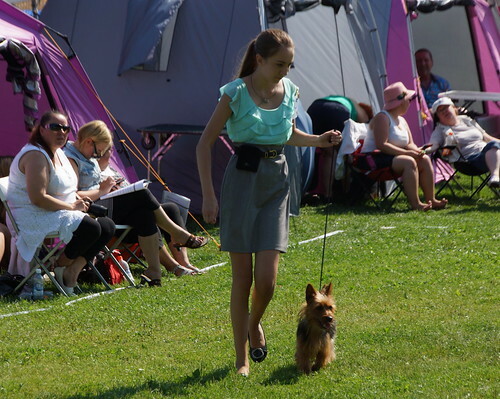 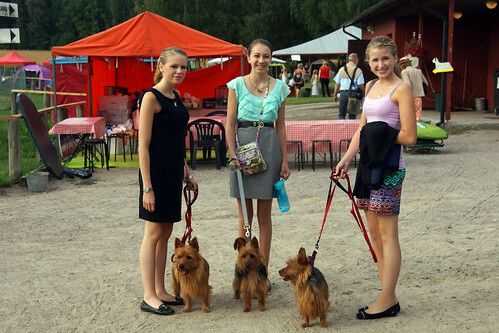 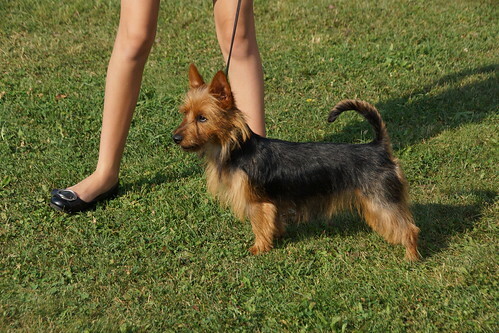 August 2014 my daughter's Lydia and Ellie along with their dogs GCH Dunham Lake Unanimous Decision "Jake" (#2 Australian Terrier in the US in Breed) and Bronze GCH Dunham Lake Gabriella Touched by an Angel "Gabby" participated in the World Dog Show in Helsinki Finland. 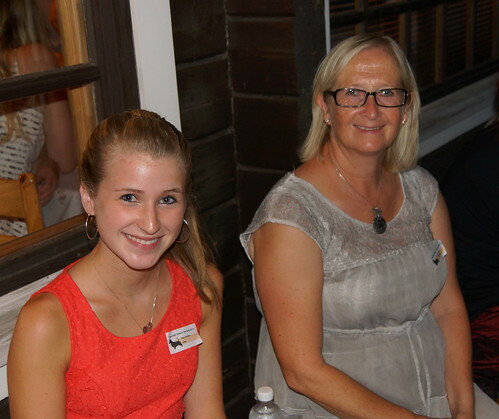 Our new Champion Dunham Lake Goody Two Shoes "Judy" and her owner's Samantha and her mom Nancy also participated in the event. It was the most incredible show, with 21,000 dogs entered and only 70 dogs from the United States participating. 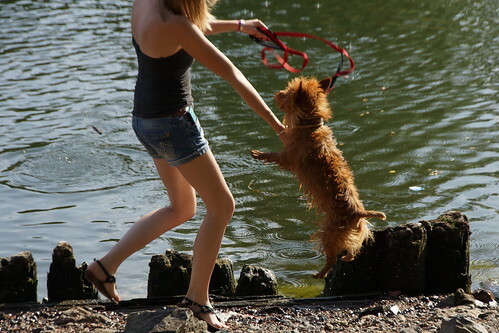 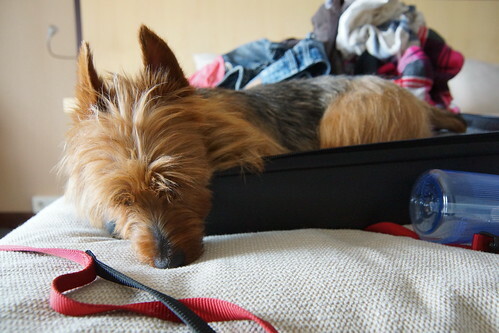 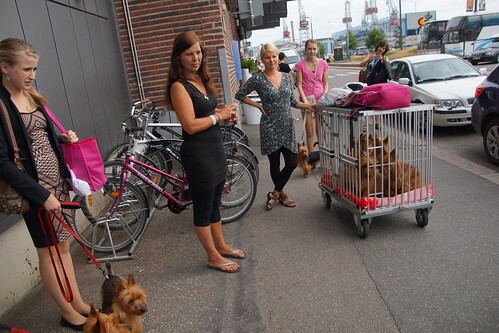 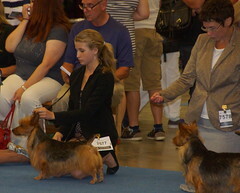 We were the only US Australian Terriers represented. 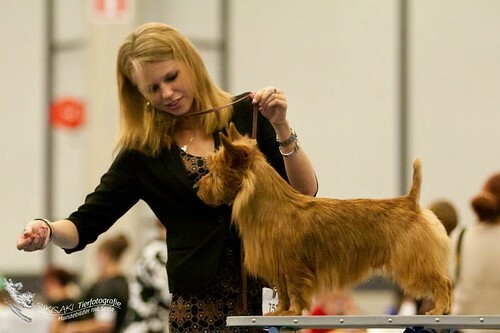 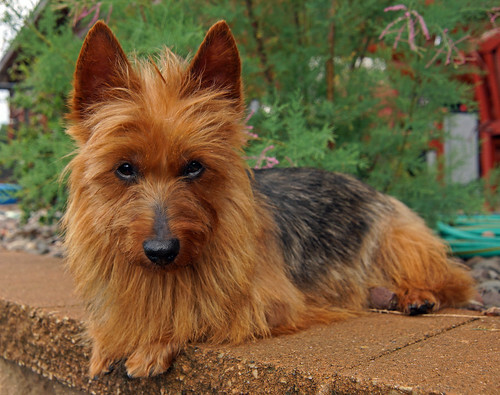 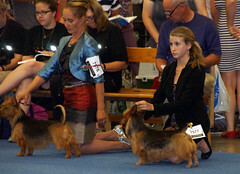 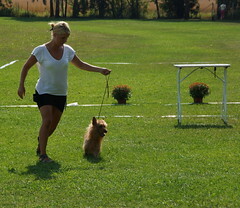 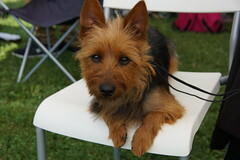 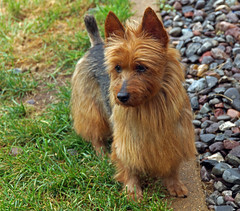 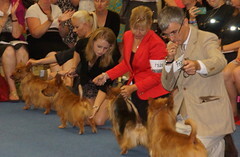 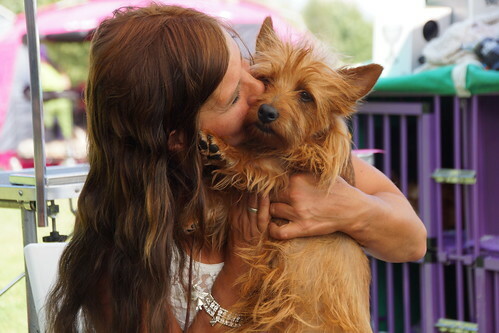 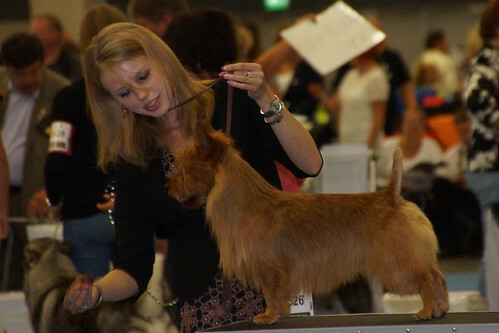 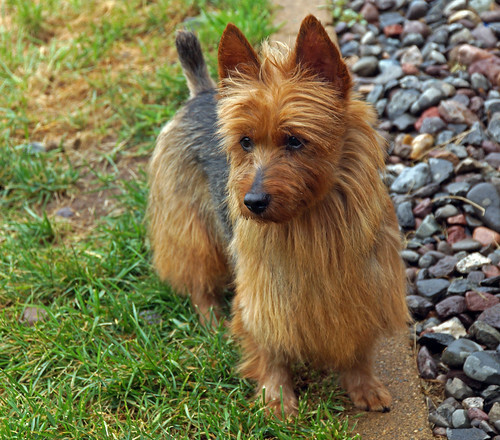 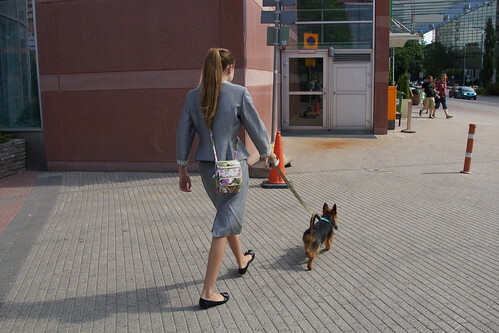 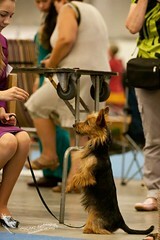 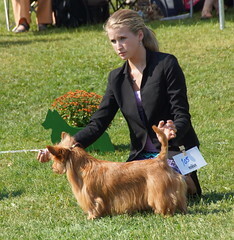 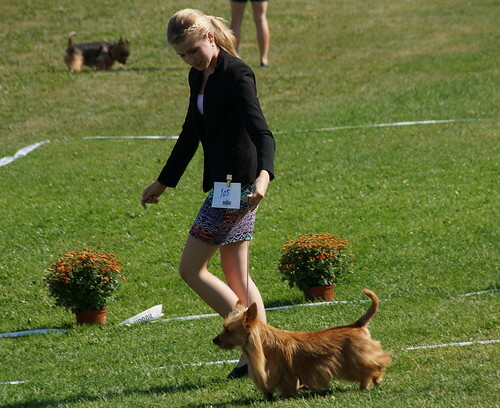 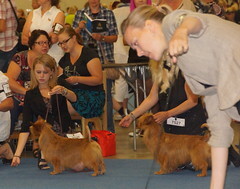 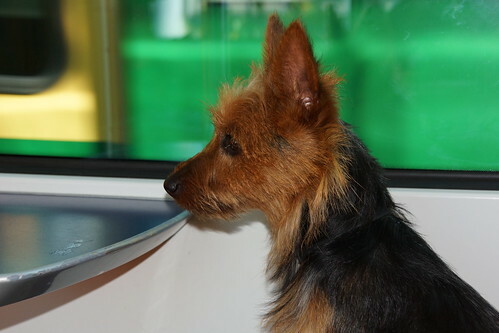 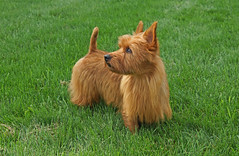 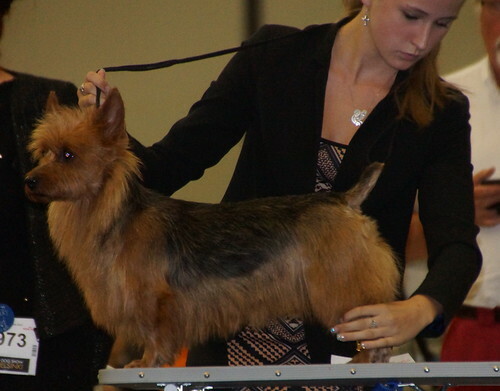 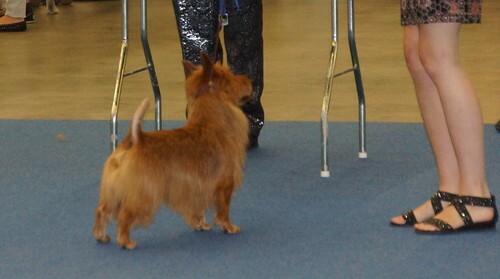 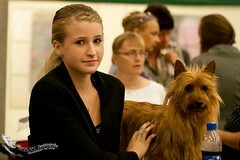 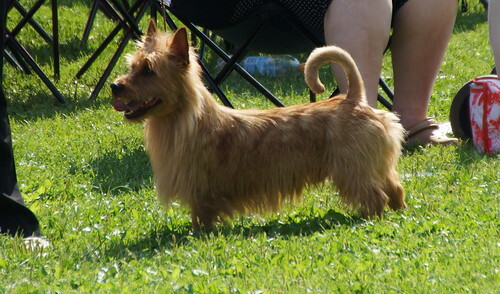 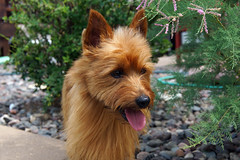 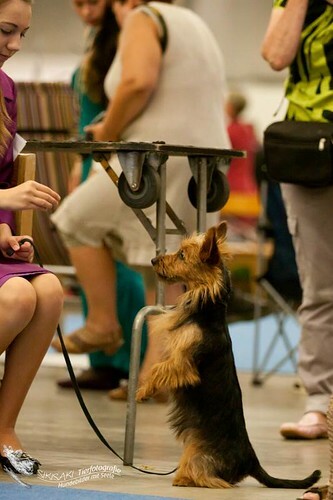 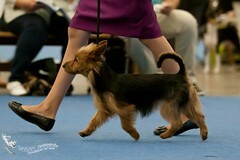 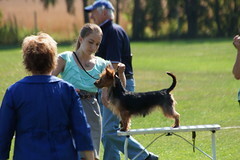 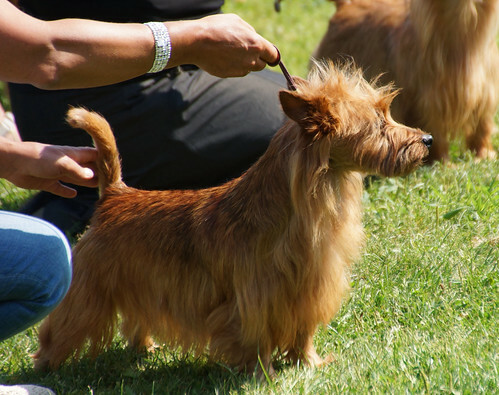 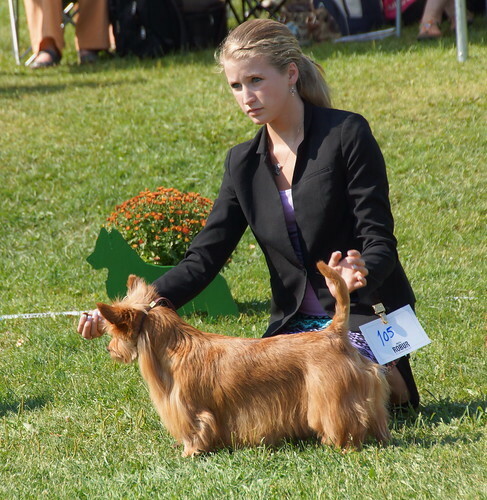 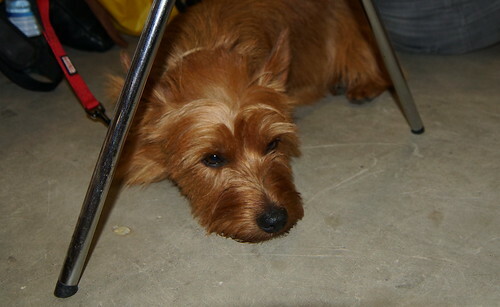 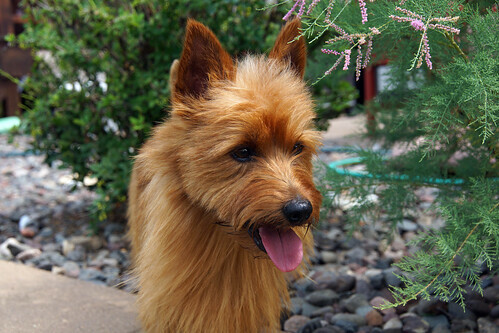 The feed-back from many judges and breeders world wide regarding our Australian Terriers was overwhelmingly positive. 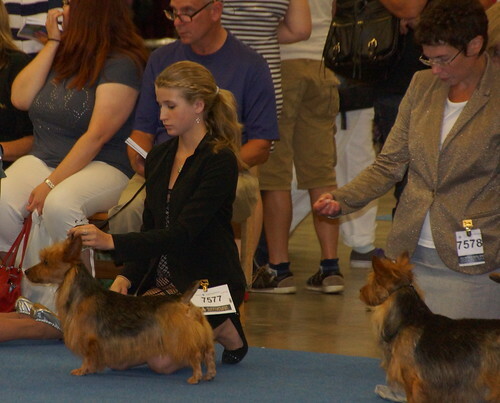 Our two females placed "Very Good" and our male, Jake placed "Excellent" and of the 26 Champion Dogs that were entered, Jake and Lydia finished in the top 10 Australian Terrier dogs at the world show. 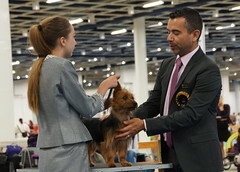 We learned more about our breed, were able to spend a great deal of time studying other lines and meeting with top breeders and Judges from all over the world. 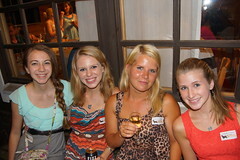 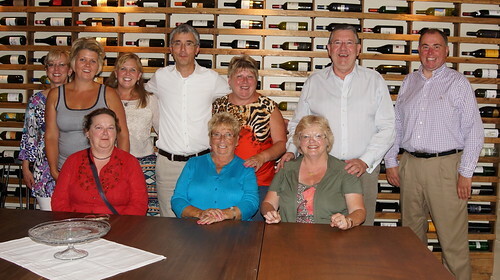 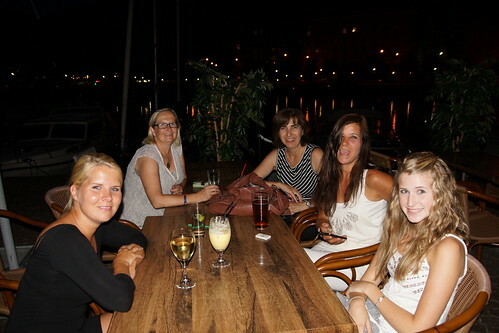 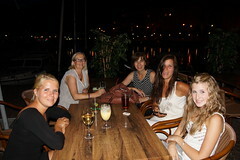 It was not only an enjoyable trip but one of learning for us as well. 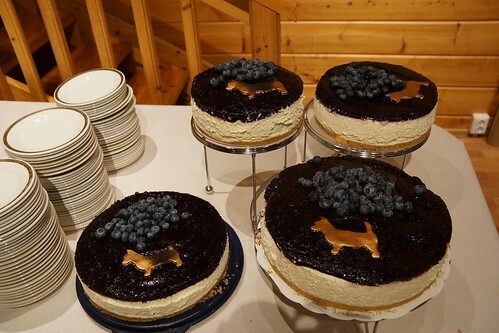 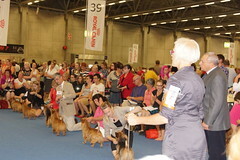 We thank them all for their hospitality and evaluating our dogs as well. 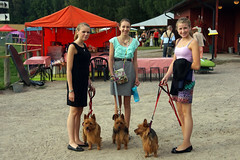 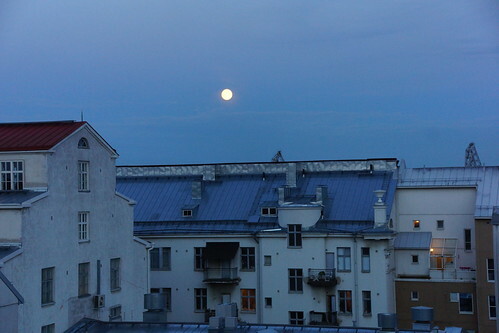 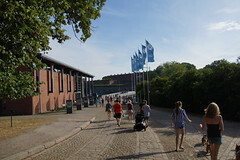 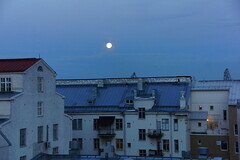 I hope you enjoy our photo's of our trip of a life-time. 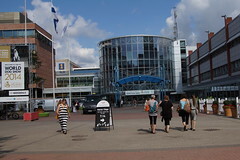 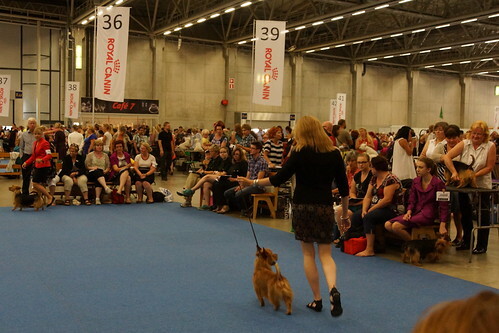 The video clip below (courtesy of Kimmo Aaltonen) shows all the Champion Dogs shown at the World Show. 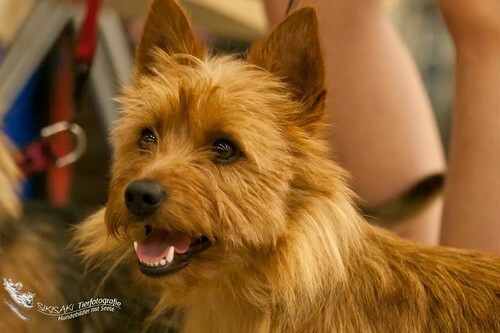 Our boy Jake is shown around 5:10 and again around 11:00 min into the video. 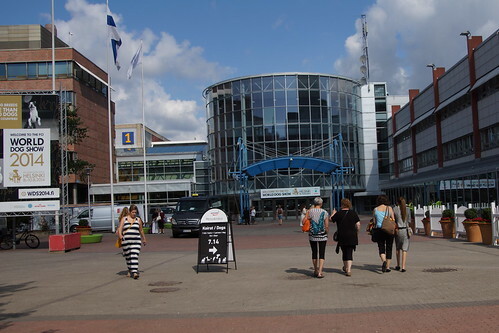 Thank you Kimmo.